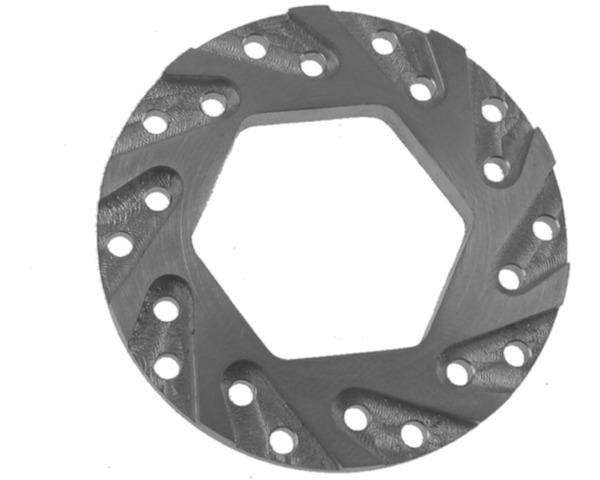 Titanium turbo vent brake disk for the HPI Savage or Traxxas T-Maxx. This brake disk is crafted from light weight titanium to give you outstanding breaking power and long life. Thanks to it s radical "turbo slot" cooling pattern you can expect smooth and consistent breaking performance.